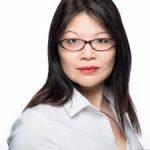 Dr Audrey Tang is in the business of ‘applied mindfulness’ – how can it help us be better leaders, smarter learners, and happier people? In The Leader’s Guide to Mindfulness, she shows how soft skills give hard results in areas such as problem solving and creativity, and also takes us deeper, to emotional resilience, inspiration and growth. This is a masterclass in drawing together practical teaching and spiritual depth, weaving in expertise and experience as diverse as teaching aerobics and designing escape rooms. Alison Jones: Hello, and welcome to The Extraordinary Business Book Club, and it’s a pleasure to be here today with Dr Audrey Tang, who is a chartered psychologist and the author of The Leader’s Guide to Mindfulness and Be A Great Manager Now. She’s a speaker, a trainer, founder of consultancy CLICK Training, and also resident psychologist on the Chrissy B Show on Sky, which is the UK’s only TV programme dedicated to mental health and wellbeing. She presents at national international conferences in the fields of leadership and team cohesion, and she’s part of the Amity University conference panel. And she’s also a lecturer in personal development and mindfulness at Brunel University. So welcome to the show, Audrey. Audrey Tang: Thanks so much for having me, Alison. Alison Jones: Oh, it’s really good to have you here, and I’ve read The Leader’s Guide To Mindfulness, so I’m just so delighted to be able to talk to you about it. Audrey Tang: Oh, thank you. Audrey Tang: Yes, pretty much. Alison Jones: So when you say mindfulness, what do you mean by it, and why does it matter? Audrey Tang: Very much like you, whenever I deliver my first lectures, I always ask what do people think of mindfulness, and they do often say, “Oh, it’s, well, meditation and breathing,” and that is, exactly as you say, the view of how it was. Now, I like to take mindfulness in its ordinary parlance, just, frankly, if we are asking somebody to be more mindful, what exactly do we mean by this? Well, looking at it a little bit historically, because I think that’s important too, we need to know where it’s come from, it was much more about getting in touch with how the body feels, being present, actively choosing your behaviours, and all of that can of course be helped greatly by meditation and focusing on breathing and yoga. However, it goes beyond that. It’s not enough, to me at least, to just be aware of, “Ooh, that traffic jam makes me feel a little bit stressed,” you need to know what to do with that information afterwards. So I like seeing mindfulness in its applied sense. Be aware of things around you, be present in your daily activities, but know what you can do to make those things better for you, and, to me, that’s the little part of mindfulness that isn’t necessarily part of its original heritage, but it’s important for how to make the best use of it. Alison Jones: And I mention that you used the word heritage there, because I think, you know, let’s dig into that a little bit, and I was really touched, actually, that in the book you talk about your own background. I think right at the end, you mention your grandfather, and I’m going to pronounce this wrong, Seet Chee Kim, is that right? Audrey Tang: Yes, that’s right. Alison Jones: Excellent. Who was a Buddhist teacher, so there’s a real kind of spiritual dimension to understanding your heritage there. Audrey Tang: Absolutely, yes. He used to teach at the local Sunday school in Malacca, and he wrote a book on Buddhism, Discourses on Buddhism, which is, in fact, where I got a lot of his teachings from. He used to embed it in his daily life. I always remember him being a very calm person, a very gentle person, and he would always … Whenever I got in trouble, he would always give me some kind of very much Confucius, some kind of statement to think about. It’ll be things like don’t get angry with other people if they don’t think in exactly the same way as you do. And so I had that vague understanding when I was younger, but it was when I rediscovered his book, in fact, and read through it fully is when I really began to connect with a lot of what he said. And, of course, mindfulness does come from Buddhism. It is one of the meditations on the Eightfold Path, and that’s the mindful awareness is so important to Buddhist monks, where they would just sit, become aware of who they are, and take conscious actions, that was the key part of mindfulness. And, of course, Buddhism is quite a key, not following… I don’t really want to say religion, but it’s very important in South East Asia as well, and, of course, that’s where my grandfather was from originally. Alison Jones: And bringing that spiritual dimension into the everyday. One of the things that really struck me about the book is that balance between the very, very practical and… you’re very clever, actually, we’re going to talk about the structure of the book later, but you really start with the practical stuff, you know. It’s no soft, fluffy sitting around at the beginning, but you do move deeper in some more spiritual stuff, but I guess that’s … I love that, because my publishing imprint is called Practical Inspiration, and it’s that blend of those two things, and I love the way that you did that. Audrey Tang: Oh, thank you so much. One of the key lines in my grandfather’s text was, “Theory without practice is just empty thought,” and I’ve always been very practical myself. As a trainer, I do personal development, but one of my key, I guess, unique selling point, something that I choose to do, is I do a lot of skills practise. So, for me, I’ve always looked at, okay, something like conflict resolution, but, yes, I can teach the theory, but it’s much more important to have a go at the practice. So I don’t mean I put people in through role play, but what I do do is I work with actors. I brief the actor, I tell the actor exactly what I want to draw out of that person, and the actor plays that character and the person has a chance to practise, and then either we might record it and then play it back and then reflect on it, or I might just give the feedback, but it all allows that person who’s engaging with that material to try it, to practise it, to do it, to get something out of it, and that’s one of the most important parts of any of the teaching that I do, and that’s why with mindfulness, the key thing I wanted was it’s great to use it to become more aware, to be conscious of our actions, to make active choice, but we also can utilise it to make our performance enhanced even more, to focus better when we’re trying to think about our meetings or are engaged with meetings. We’re in such a busy lifestyle at the moment where we can be accessed on our phone 24 hours a day, but it is important to stop for a minute, but then when you’ve been able to calm your mind, well then what? Because a lot of people don’t want to just press the pause button, as lovely as it is to embrace that stillness, it’s also important to keep driving forward as well. And so that’s why I’ve always wanted to blend practise with theory, and that’s why it seemed the most appropriate step to take in terms of writing the book. Alison Jones: And I think it’s interesting that the way that people will come to this book, there might well be some … I mean, you’ve got that nice balance between the title, which about leader’s guide to mindfulness, just what it says on the tin, even though you might not quite know what you mean by mindfulness, you know, is it the same as what I mean by … But then you’ve got that great subtitle, How To Use Soft Skills To Get Hard Results, and I wonder if you have a sense of this? When people come to you, are they coming primarily because they’d got a sense that mindfulness is a thing that they’re not doing right and they need to get better at it, or do they come back they’ve got a particular problem and they’ve heard that you’ve got a good angle for solving it? Audrey Tang: It’s a little bit of both. When people get to know me, so, for example, people who’ve called my services in after seeing me deliver at a conference, they have come because they know I work with the material very practically, but a lot of my students at Brunel, they come because they’re curious about mindfulness, and they heard the term and they want to explore it a little bit more. But then when they actually sit down, and, yes, we do a little bit of meditation, we do affirmations, I use them very practically again, but they enjoy that, but, also, they realise that they can get something very practical out of it. They can take an action away with them, and that, for me, is going beyond … You know when people get fired up, they go to a meeting or a workshop and they go, “Yes, I really loved that. That was brilliant.” They leave that meeting or that workshop, and the, suddenly, it’s a bit like life happens and that’s it, that enthusiasm’s gone. I really want to give you something that you will take away and use, because, otherwise, it just seems to be, not a waste of an hour or two hours or however long that training session was, but it would be a real shame if you can take nothing from that. Alison Jones: Absolutely. And I’m totally … you’re singing to the choir here. I absolutely love that, and, actually, that parallel you draw between doing the workshop where you’re inspiring people, enthusing them, but they’re not going to have you beside them when they go into the lion’s den of the day job, so you have to give them something to take away and go away with – in a sense, you’re doing the same when you write a book, aren’t you? For the time you’re reading that book, you’re completely absorbed in it and you’re there and you’re getting all the good stuff that the author’s got for you, but when they finish reading, they need something to take away. Audrey Tang: And that’s the thing that scares us most of all. We sit there and we go, “Oh, yes, I’d love to be that sort of person who just remembers to indicate before I change lanes.” I mean, obviously, please be that sort of person, but in that feeling of stress and pressure, I know, I’ve seen people just not bother to do that. But then take that into a leaderships context, if you are just telling people, “Right, we’re doing this now,” and you haven’t primed them, you haven’t spoken to them about why, you haven’t got them committed to it, then it becomes very confusing for everybody. But it’s not enough to just say to somebody, “Oh, here’s the analogy of the changing lanes and this is what you need to do.” What I do is I make them teach an aerobics class, just a couple of steps in this aerobics session where … Because I used to be an aerobics teacher as well, and so what they would do is they practise leading that class, telling them to change direction, change one step, and then they’d tag somebody else in. But in doing that, they begin to realise, “Oh, my goodness, I can’t just move left or right, and, frankly, is it my left or their left?” And all of those things, we reflect on that, and then they go, “Oh, my goodness, yes, I have to tell people. I have to tell them from their point of view. I have to march along with them to get in time with the music in the first place, otherwise I’ll confuse everybody. And then, if I’m not seen to be doing it, no-one knows what they’re doing.” So you can teach so much just by being practical, but I think a lot of books maybe don’t go that far with it, and, to me, it’s really important to give somebody, not just the analogy and the dream, but the practical way of solving it. Alison Jones: I can’t tell you how much I love the idea that you get leaders to teach an aerobics class. That is absolute genius. What a brilliant example as well of using what you know and bringing it into the arena. That’s fantastic. Audrey Tang: It’s one of the most fun sessions, and I’ve delivered it at conferences as well, and it’s one of those things where … I also teach public speaking, and people will say to me, “Do you seriously get people up and doing that at conferences?” And it’s, well, yes, you just have to believe they’re going to do it, and be enthusiastic enough and they won’t be able to run away, and it’s wonderful. And because it’s also exercise, it’s got all those positive hormones going and people feel like they’ve had a really good time too. Alison Jones: Ooh, now, that’s really smart, actually. They sit down and think, “Oh, I feel great. She’s such a good speaker.” That’s really smart. Top tip, people. Love that. Tell us a little bit about what it means to be a resident psychologist and how the telly stuff – I was talking to somebody from the BBC and, apparently, they all call it telly, which is great, I love that – so how does the telly stuff fit in with everything else that you do? Audrey Tang: Oh, I was very, very lucky with, first of all, meeting Chrissy on the Chrissy B Show. They were looking for a psychologist to talk about laughter, and, at that time, I just happened to see the advertisement, and it was for the next day. Happened to be free, so I called them up, looked up the programme, because, obviously, I was a little bit concerned first of all, you know, what’s all this wellbeing? Are you going to take it … There’s positive ways of taking it and then there’s slightly more aggressive freak show ways of taking it, which I don’t like at all. But the programme is so positive. It is focused solely on getting people … She has life stories, so real life guest stories, where people have been through some horrible, horrible experiences, but they’ve come through the other end, and the whole crux of the show is getting people more aware of mental health, getting people speaking about mental health, and finding out that it’s not anything to be too afraid of, because it’s had such a horrible stigma, and it’s slowly changing, and we need programmes like this to actually tell people, “You know what? It’s okay to say I don’t feel okay at the moment.” And, for me, my role on this is really to help discuss the topic. I kind of do the science bits, so, for example, if the topic is depression, I will talk about depression in a way that’s a little bit more accessible to viewers. There’s no point quoting the diagnostic and statistical manual as you would in practise, but you’ve got to make it so people understand the symptoms, but that they understand that it needs to be diagnosed by a clinician, and the steps that you might have to go through and that not everyone’s symptoms are the same. So it just depends on the topic, and then I come in and do the little, “And this is what we’re doing today and these are a couple of tips and ideas that you could put into practise.” But none of this substitutes getting professional support, of course, but we do encourage people to talk, we do encourage people to take ownership of a diagnosis, and that’s one of the most important things, because we’re so afraid of getting a diagnosis, let alone doing anything else with it. But once you have that, then sometimes you can actually do a lot more. So once you’ve got over that fear, but that fear is what Chrissy’s really trying to tackle, and it’s so much fun to be on her show. She’s got GPs on there, she’s got nutritionists, she’s got fitness experts, a vet who comes on as well. A business coach, a family coach, and I learn so much by being on there too. Alison Jones: What’s interesting as well is that I can see that you speak to such a wide range of people. So you’ve got the daytime telly audience on the Chrissy B Show, you’ve got your students at Brunel, you’ve got your, you know, top CEO leaders that you’re speaking to at conferences and so on, I mean, do you consciously shape your message and your tone, or do you just take that view that, do you know what, they’re all people, and you’re just yourself? How does that work? Audrey Tang: It’s a really good question, and it’s actually a bit of both for me. I know that certain approaches will go down better with students than they will with top level CEOs, just because there is an expectation of a different approach. However, with some conferences, I admit I am brought in purely because they like me being a little bit different. So I was called into one conference to talk about recruitment, but they wanted something a little bit unusual, so what I ended up doing was explaining how people could fake an interview for the 20 mins, or for the first even assessment, two hours, and you could think you were getting Dr Quinzel, and then I just whipped off my suit jacket and I had my Harley Quinn T-shirt underneath, took my hair out and I had ponytails in, and, actually, you’ve ended up with Harley Quinn. The way I warmed up into that was really because I was dressed appropriately. I’m not there to try and cause antagonism from the start. I want people to hear my message, so I think it’s important that if there’s an expectation, I follow that. Whether I wear a Harley Quinn outfit doesn’t take away from what I can say, but I know that people are more open to listening to me if I’m dressed in a certain way. But then when you slowly build that in, you can them bring them with you a little bit more. So I don’t necessarily change anything drastically, it’s just more I take from a little bit … I’m a little bit more, I guess, reserved when I’m working with CEOs, depending on the CEO, of course. And then with students, I’m a little bit more casual. So it really depends on the people I’m working with, and I sense the audience as well. There’s some areas where you know this talk could go in this direction, but I could either do one activity or a second activity. I feel the audience is going to respond better to the second activity, let’s just swap that in, and that, really, I think I’m lucky, because my background’s also theatre, my hobbies are theatre. That’s what you learn a lot through theatre, you sort of begin to sense your audience and sense where they are with you. Alison Jones: And, look, because that’s what’s really came across, actually, is that performative aspect of what you’re doing in the moment, because you are co-creating when you’ve got an audience in front of you, aren’t you, which you don’t have the luxury of with a book? Audrey Tang: Yes, yes, absolutely, and with that, you can actually see how they’re responding, so that helps me as a teacher too, because there may be some things which I think, “Oh, I’ve described this really clearly and I’ve instructed this really clearly,” and then I get the strangest thing reflected back at me, and I’m thinking, “What did I say? How did I phrase that?” But it gives me the chance when I’m face to face to be able to alter that a little bit and adapt, so it’s great to be able to make use of all the different facets of performance, because I think it’s so important to engage people, but they can’t just go away thinking it was just wonderful and fun, they have to go away thinking, “And I learnt something,” and that’s the balance that’s so important to strike all the time. Alison Jones: And then when you come to write your books, how do you bridge that gap between … You know, you’re obviously … It’s very easy to get people enthusiastic and get them engaged when you’re standing in front of them, how do you translate that onto the page? Audrey Tang: I’m very lucky to have a very, very good editor at Pearson who advises me on that, and in particular, one thing I remember was when I first started with The Leader’s Guide, I really struggled with the first chapter, actually, because I knew I was dealing with quite a big spiritual subject area and I didn’t want to disrespect that, but I needed to make it much more accessible, and I started relatively academically and she kept saying to me, “This isn’t your voice. This isn’t the voice you used for Be A Great Manager. What are you doing to it?” And by realising, “Yes, I think I’m trying to go too ‘academic paper’ here because of the gravity of what it is,” that’s what made me think, “Okay, well if I was reading a book on mindfulness, what do I need to know, what would I want to know about it, and then where would I want to be taken from that point?” And so that helps me a lot in terms of shaping how I say things. The rest of it, actually, what’s nice is they like me because I think I’m quite practical in that respect, so that’s my natural style anyway. When it comes to try this or this exercise, or think about it in this way, that’s almost as I deliver or prepare a teaching session, so that’s quite easy to translate. It’s the theory that I always, not struggle with, but I need to ensure that I don’t write it as if I’m writing for an academic journal. Alison Jones: Yes, absolutely. And it’s great that you have all those registers, but it’s about having the person in your mind kind of in front of you, isn’t it, that you’re speaking to in any particular book? Audrey Tang: Exactly, exactly, and a lot of the time, sadly, sometimes, people do dip into textbooks, business books very much as a dip in, dip out, I just don’t have time to think about it right now, so it is about really using [inaudible 00:21:26] and really getting that arrow head key point there and then, and that does take a little bit of refining, but it’s an exciting task to do and I enjoy it. Alison Jones: Yes, you’re almost creating a map for the book as you go, aren’t you, so that you can direct people to what they need right now if they’ve only got nanoseconds, because they can access it at any point. Alison Jones: This’ll be fun. [inaudible 00:22:09] go and try it out for the first time. Audrey Tang: Tell me how it goes. Alison Jones: You’re on your own. I love that. So, I mean, I feel we’ve kind of actually brought lots out as we’ve talked, but I always ask people, if you had one best tip for a first time business book author, somebody who’s, you know, way before … Here you are with two under your belt, but can you think back? What’s the one thing that you wish you’d known before you started? Alison Jones: Is there anything you don’t do, Audrey? You’re incredible. Audrey Tang: I like that they’re a lot of fun and they use puzzles. These escape rooms, they’re very good for team training, but I work with the escape room owners, because I licence my training to them, and a lot of them sit there and say to me, “Ooh, I don’t go and see other escape rooms.” I mean, the really good ones do, because they learn from them, and I always have to question, “Well, why don’t you go and see other place?” “Oh, well just because I don’t want to have stolen an idea.” Well, chances are, if it’s a good idea, someone else would have had it, and the more you see, the more you read, the more you experience, the more you can understand what other people are doing and then the more you can find that gap. It’s a little bit like doing the literature review, so it is really important to read widely. And then, when it comes to writing, the only way that you can really find that vice that you’re comfortable with is write. It’s never going to be perfect first time, and in actual fact, even if it’s perfect in your eyes, I’ll guarantee it won’t be perfect in anyone else’s, because perfection is subjective. So just write. Just practise, and don’t be afraid to get people’s opinions on it, but they are opinions, and, again, only you know what’s right for you. Audrey Tang: Exactly, exactly, and I think that probably is something maybe I wish I had known, thinking about it. I’ve only just come to that, so it’s like a little coaching session here, thank you. Alison Jones: That’s so funny. The other thing I always ask my guests as well is to recommend a book. Now, clearly, they should all go out and read The Reader’s … The Leader’s … The Reader’s Guide To Mindfulness? There’s your next book right there. The Leader’s Guide To Mindfulness. But what other business book have you read that you think should be on everybody’s to read list? Alison Jones: Oh, do you know, that sounds really interesting. I have to say, I did read Black Swan and I think the concept it brilliant. It’s a flipping long book. That was my biggest beef with it. Audrey Tang: Yes, it probably will be, but he does make a couple of really good points. Audrey Tang: I do have another one, actually, though, if you don’t mind. Alison Jones: Oh, go on. Audrey Tang: It’s a little cheap one that you can actually download on Amazon Kindle for about £3 or something like that, and it’s called The Big Leap by Gay Hendricks. Alison Jones: Oh, I love that. It’s one of my favourite books. Audrey Tang: Oh, brilliant. Really brilliant one. Alison Jones: I had Gay Hendricks on the podcast actually, right near the start, a few years back now. He’s amazing. Alison Jones: Yes, I cannot agree strongly enough. It’s one of the best books anybody who’s starting a business should read. Audrey Tang: Yes, absolutely. But I just feel with that one, I’m always wary about pushing my students to read it, because I don’t feel some of them are quite at a position to grasp exactly what’s he’s saying and how he’s saying it, because I think some of the … I think he’s wonderful, and it’s one of my go-to books, but I know that it could be read in the sense of, “Oh, I’ll just do this and then it’ll all be fine,” and no, no, no, it doesn’t quite work that way. So, again, that’s my comeback to critical thinking first. Alison Jones: Yes. And when you’re standing, because we’re standing in front of a fire hose of stuff coming at us, and all you can do sometimes is just grab bits and pieces and hope that they work, but actually developing that ability to filter and to filter that’s not just what your friends say but actually what you know works for you, I think you’re right, that if you can teach particularly students that, you’re giving them such a valuable skill for life. Audrey Tang: Yes, thank you. And that’s where mindfulness is so important, because that is all about recognising where we’re coming from, and who we are, and how we like to think, and where we’re going with all that information. Alison Jones: Yes. And there we are, we’ve bought beautifully all back into a perfect circle. That’s wonderful. Oh, I love it when that happens. So, Audrey, if people want to find out more about you, where should they go? Audrey Tang: They can go to my website, which is www.draudreyt.com, or you can find me on Twitter and Instagram @draudreyt, and that’s also my Facebook page too. It’s @draudreyt, you can look me up on Facebook as well. So those are the various places, and then you can contact me on email via those places too. Alison Jones: Awesome. And I’ll put all those links up on the show notes as well at Extraordinarybusinessbooks.com. Audrey, thank you so much for your time today, it’s been absolutely … I could talk to you forever, it was fascinating, thank you so much. Audrey Tang: Thank you for having me, Alison. growth, leadership, meditation, mindfulness, performance, resilience. Bookmark.